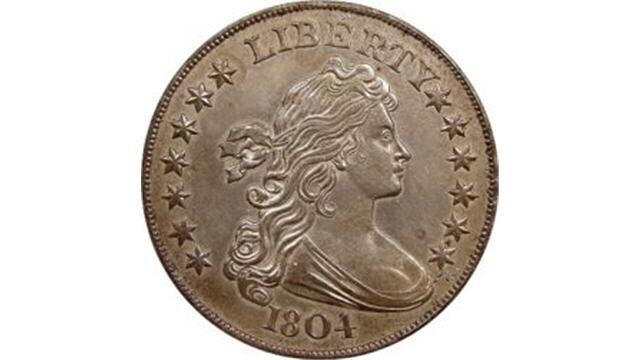 The 1804 Draped Bust dollar is the most interesting and desirable of all U.S. coins, with many mysteries and underworld type stories surrounding it. Known as the “King of coins”, it is one of the most famous and valuable coins in the world. No 1804 dated silver dollars were actually struck that year. These coins show evidence of a technology which wasn’t available in 1804, but 30 years later. Official mint records show 19,570 Draped Bust silver dollars were produced, but it’s believed that all the dollars actually struck in 1804 have been dated 1803 or before. This was a practice at the time to save the expense of creating new dies every year. The silver dollars actually minted in 1804 are indistinguishable from their 1803 predecessors. 15 specimens of the 1804 Draped Bust dollar are currently known, and all 15 are accounted for. They are categorized into Class I, II, & III. There are 8 Class I examples minted in 1834. 1 Class II, and 6 Class III coins were minted off the record by Mint employees between 1857 and as late as 1870. All Class I 1804 silver dollars will weigh 416 grains, the standard prior to 1837. Class I and Class III 1804 dollars have a lettered edge of the style used from 1794 to 1803, while the Class II dollar has a plain edge. The 1858 Type III restrikes were made on whatever planchets could be found at the time. They didn’t necessarily weigh the new 412.5 grains dictated by Congress. Besides their non-uniform weight, Class III coins can be distinguished from Class I by their slightly different reverse design. It is thought that originally 15 Class II dollars were illegally struck by mint employees, which were later returned to mint officials. The only remaining Class II 1804 dollar has gone to the National Collection in the Smithsonian. We now know that the 8 Class I, 1804 dollars were minted in 1834-1835 for inclusion in presentation proof sets given to dignitaries by the US Government. One is found in the King of Siam proof set, the other went to the Sultan of Muscat. 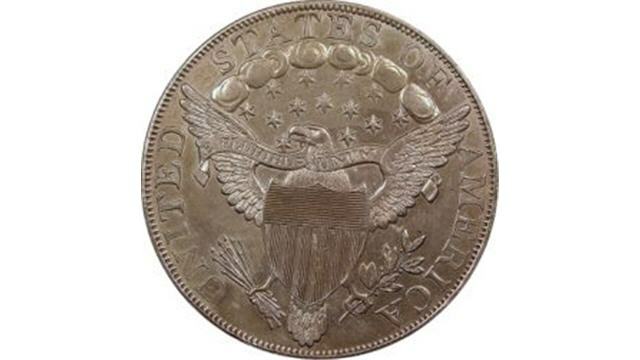 When the U.S. mint exhausted their original supply of 1804 dollars, an additional 7 more pieces, the type III were made to satisfy collector demand in 1858 & 1859 and released over the next 20 years to collectors. All of these coins are uncirculated, although 4 of the 7 were made to look circulated. 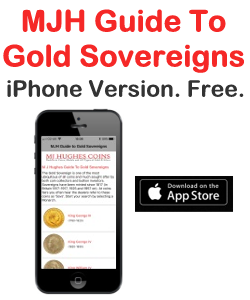 That way their owners could have an explanation for their acquisition, not tying them directly to the US Mint. In the late 1960’s there were thousands of cast dollars dated 1803 & 1804, as well as Trade dollars sold to American soldiers returning from Viet Nam. These coins sometimes exhibit an I or ! after the word AMERICA on the reverse. They are cast copies of an 1800 Draped Bust silver dollar, with the last 0 retooled into a 4. Cast copies typically have poor, indistinct features. The fields are porous in texture, which is in keeping with cast coins. They are also light in weight, coming in at only 22 to 23 grams. Finally, the 1804 date is nicely cut regardless of wear. A coin with blobs on the date is counterfeit. Alterations of other dates from genuine 1801 to 1803 Draped Bust silver dollars account for the rest of the known counterfeits. Most date alterations will show tool marks around the altered date fairly distinctly, though a few have been deceptively well done. 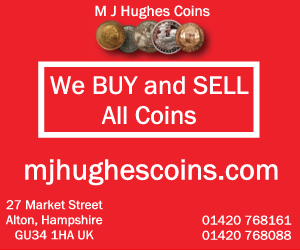 To discover more about coins: collecting issues, money management, investing in the rare and bullion coin market, and much more, I invite you to visit www.heritagecoingallery.com for videos and free tips on buying coins at the best prices. 1807 Draped Bust Half Dollar 50C O-105 - NGC VF Details - Rare Certified Coin! 1806/5 Draped Bust Half Dollar 50C Coin O-104a R5 - PCGS VF Details - Rarity-5! 1807 Draped Bust Half Dollar 50C O-104 - Certified PCGS VF Details - Rare Coin! 1806 Draped Bust Half Dollar 50C Coin - NGC XF40 (EF40) - $2,150 Value! 1806 Draped Bust Half Dollar 50C - VF Details Condition - Rare Early Coin! 1807 Draped Bust Half Dollar 50C Coin - Certified ICG AU53 - $4,120 Guide Value!